Homeschooling will turn my children into beasts and they will hate me for the rest of their lives. Everyday I get a kiss on the check from my daughter and she tells me she loves me. My son doesn't want to go back to public school he says. He still calls me Mommy even though he is 9 years old followed by a hug. I get compliments from people and people I do not know tell me I am doing a good job. Character and integrity is everything in my book. By the way, the parents that have doubts have children you don't even want your child to associated with anyway. Join in and write your own page! It's easy to do. How? 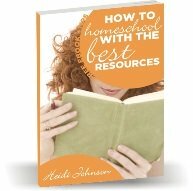 Simply click here to return to Homeschool Myths.